Welcome to Advocacy Skies' Webstore! Take a look at our selection! Click on a category to browse its contents. Be sure to enter your EXACT Minecraft username when checking out. Your payment should be confirmed within 10 minutes. If it hasn't arrived by then, contact a Staff member and they'll be happy to help! Can I donate without PayPal? Yup! Just checkout with "Pay now with PayPal", and proceed to the log-in screen. There will be an option that says "I don't have a PayPal account", and you can pay with a debit or credit card from there. You are above the age of 18 OR have parental authorization to use whichever payment gateway that is to be billed for your purchase. Advocacy Skies shall not be liable for any direct, indirect, incidental, special, exemplary, accidental, and/or consequential damages that occur as a result of the use or inability of any services, unauthorized action or alteration of your data, statements or conduct of any third party on the service. All purchases are final and refunds will not be issued. Advocacy Skies reserves the right to modify, add or remove any of the packages within the webstore, including but not limited to, pricing, benefits, rewards, etc. The use of this website, Minecraft server, or any related content is made available and provided to you at your own risk. We disclaim all warranties of any sort, implied or expressed. Advocacy Skies reserves the right to forcibly eject you from the server with no refund isssued. Advocacy Skies reserves the right to ban you from the server at any given time with no refund issued. 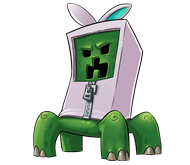 You waive your right to take any action against this Minecraft server's owners, administrators, staff, members, website, or related. All terms and conditions are in effect indefinitely and immediately after the contract is accepted, and continue to remain active after you quit the server, are banned, ejected, or otherwise exit participation from our services in any way. Chargebacks will lead to a ban. By making a purchase you are guaranteed virtual assets. Refunds will not be issued, and chargeback bans will not be lifted unless the chargebacked money is reinstated to Advocacy Skies. Questions? Concerns? Don't hesitate to contact a staff member in-game or on our Discord server. Advocacy Skies is NOT affiliated with Minecraft, Mojang AB and/or Notch Development AB.